The comedy on infidelity, last seen conveying a similar swerve into the vista of verve in B.R. Chopra's "Pati Patni Aur Woh", stars Govinda as Gagan, a stage actor with a roving eye. At last, Govinda has a blast. And so, I must confess, do we. 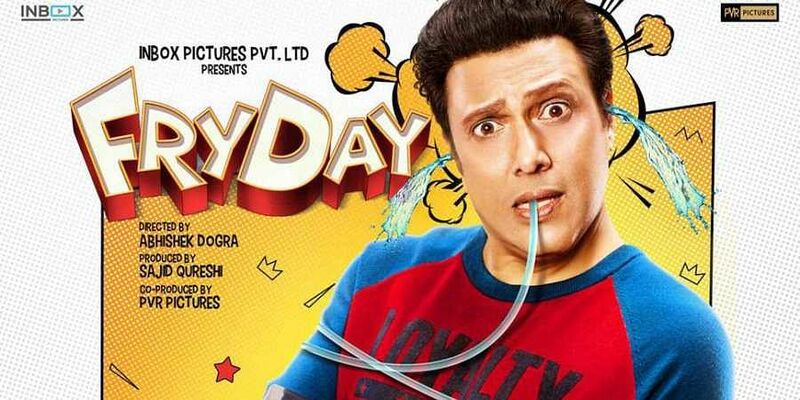 "Fry Day" is a surprisingly palatable marital comedy with some really funny throwaway lines, and of course the actors' comic timing which goes a long way in supplanting a certain sparkle to even some of the potentially stiff scenes. Stagey and saucy, this is a play-on-film with most of the events unfolding on one location. And yet director Abhishek Dogra (remember his wacked-out Sonam Kapoor-helmed comedy "Dolly Ki Doli"?) keeps the pace on a leash, never letting the overwrought characters go out of the playing field even when the ball is not in their court. The comedy on infidelity, last seen conveying a similar swerve into the vista of verve in B.R. Chopra's "Pati Patni Aur Woh", stars Govinda as Gagan, a stage actor with a roving eye. Early in the plot Govinda is seen on stage doing a hilarious takeoff on "Mughal-e-Azam" highjacking every actor's lines on stage as though he owns them. The sequence reminded me of the staged Ram Leela in "Jaane Bhi Do Yaaron". The actors have a field-day fielding the witty lines. But I wish the writers Rajeev Kaul and Manurishi Chadha had avoided the tendency to rhyme every line with the next. It makes the actors look like they are mouthing rehearsed lines when in fact the performances are defined by a sense of spontaneity, none more so than Govinda. Also, the background score is over punctuated. For example if someone mentions a donkey we hear a braying in the background. Much of the comedy of errors is stage-managed by Govinda who seems to be having fun after a long time. Giving him kindred company is the very watchable Varun Sharma. I've never seen two comic actors match their wits so wonderfully on screen before. Let us have more of this duo together. 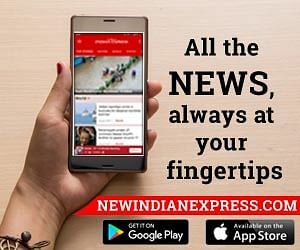 Other seasoned actors like Rajesh Varma, Ishtiyaq Khan and Brajendra Kala come in for a bit, add their own wacked-out charm to a story that depends entirely on the comic timing of the actors for its efficacy. Surprisingly stripped of ribald humour and inured to the theme of marital fidelity/infidelity "Fry Day" had me laughing out loud more than once, specially when Govinda brazenly cheating on his wife (played by a very dignified Prabhleen Sandhu) hears the doorbell while in a compromising position. "Could that be your wife?" Someone wonders aloud. "No, she said she will be back tomorrow, she can't betray my trust," Govinda dead-pans. For this line alone I forgive Govinda all his recent trespasses.